I've lived in Florida my whole life. Except the year I was in 4th grade, we moved to Georgia and then moved back to Florida that same year. I am used to things looking pretty much the same all year long. We moved here to Franklin last August when everything was green and lush. Then we went through the winter and all the trees were bare and the grass was brown. It was pretty strange to see everything like that. Now it is just beautiful watching everything come back to life. 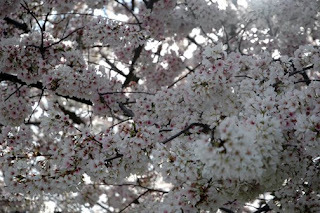 The grass is bright green again, the trees are all blooming these pretty pink and white flowers. And there is just amazing color everywhere. I LOVE IT!! 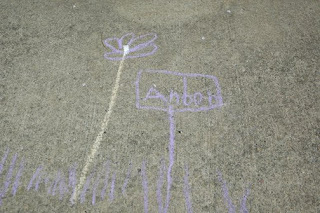 I took a few photos while we were outside playing the other day. Here is the tree right outside our porch. 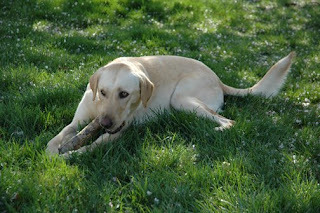 Sweet Sadie girl enjoying the fresh air and yes eating a stick. :) The dog will eat anything! 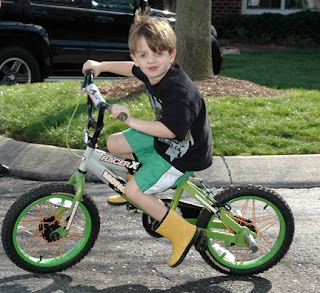 And here is Andon riding his bike. He would do it all day every day if I let him. We are truly enjoying getting back outside and looking forward to getting into the pool! Love you girl!! Praying for you. Jenny, know that I love you so very much. I am almost in tears thinking of how God has blessed me with you and Andon. I know where you are, I see the struggle and I want you to know that He is with you, I see it so clearly. I'll be praying for you friend!